Every manager wants to believe that their contact center is operating at its maximum capacity, but is yours really as efficient and effective as it could be? 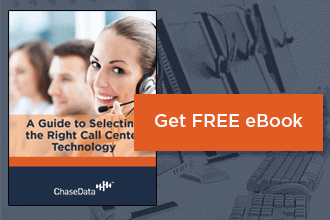 Does it seem like no matter what you do, your call center keeps lagging behind in productivity and other vital metrics – and you and your agents keep missing your goals? Call center improvements don’t happen overnight, and they don’t come without preparation and diligence throughout the process. Here are a few tips for making improvement happen in your facility this year and making this the best period your center has ever seen. If you want to make meaningful call center improvements , start at the beginning. The hiring process is critical for the success of both building your team and creating a positive environment for them to work. It’s also one of the components that is least likely to be invested in when it comes to making improvements, so starting with this is a good way to ensure that you’ll be starting with the root of any issues that may otherwise arise later. How can you make hiring easier? Start with the right tools and technology. When your hiring staff has what they need to choose the right candidates and effectively narrow down their applicants, you can count on better hires and longer-lasting fills for every position that opens in your center. Training is another important component of your call center’s success. If you don’t have solid training tools and technology in place, you can’t expect your employees to have what they need to create a successful facility. Your customer service levels are something that can majorly boost your overall call center quality – and also something that you have control over. By implementing effective training technology, you ensure that your employees will be prepared to handle any concern that your consumers may have – and that they can do so quickly, efficiently, and maintain a great attitude while doing so. By making your staff more efficient, more productive, and better at what they do in every facet of their performance, you’re making your entire facility stronger. It’s no secret that working in a call center can get a little boring and monotonous. Because of this, people often become burnt out and tired of the work. If you want to prevent this – and the inevitable dip in performance quality it creates in agents who experience it – then your best bet is to prioritize motivating and reenergizing your agents. How can you do this? Rethink the way you approach motivation. Many bosses get into a rut of passing out evaluations like they are a burden to perform. Don’t let this become your approach. Give your employees a reason to feel motivated and energized by praising them, recognizing their achievements, and highlighting their strengths. Be the positive energy you want to see in your facility, and that energy will be reflected back from your staff. Turnover is one of the biggest problems faced by contact centers today. Perhaps it is the nature of the work, or the fact that many of the people who hire into these positions aren’t looking for something permanent, but high turnover rates often lead to problems. Reducing turnover should be one of the first call center improvements you strive to make at your location. You can’t help your agents improve their performance if you can’t hang onto your experienced staff, so prioritize keeping well-trained, top-performing agents in their positions to keep your facility’s numbers up. Invest in more comfortable furnishings and equipment to keep employees from straining or growing tired during the workday. Upgrade your technology. Working with outdated equipment or technology can really make your employee’s jobs difficult. Schedule regular breaks and activities for the team to indulge in, such as holiday parties and other celebrations. Provide ample opportunity for collaboration on projects whenever possible, or teamwork whenever necessary. While this type of work doesn’t lend itself to group projects much, there are still many instances in which more experienced agents can mentor newer ones. Improve the lighting. Poor lighting can make the workspace feel crowded and uncomfortable. Likewise, too much harsh lighting can strain the eyes. Find a healthy balance. Insist on an atmosphere in which every employee- regardless of rank, experience, etc. – is treated with equal respect and dignity while on the job. Create a diverse and welcoming workplace for all types of employees. Open up communication between employees and management. Take suggestions for improvement and welcome feedback. This will speed and enhance improvements. Be positive. One of the best ways to inspire positivity in others – especially when they are your direct employees – is to radiate that positivity yourself. Show up to work every day with a positive attitude. Your staff will follow suit. Perhaps one of the simplest things you can do with one of the biggest impacts of all is to refocus the efforts your management members and agents alike are making toward center success. Consider investing in posters or murals of your company’s mission or philosophy. Hang these in prominent places where employees will be reminded of them daily. Hang similar décor in office spaces and use these little splashes of color to remind employees that you’re doing this job because someone on the other end of the phone line needs you to. That human element can make all the difference in the quality of service being provided. Still looking for more information about call center improvements that you can implement in your facility? Talk to the experts at ChaseData about the tools and technology you need to bump up productivity, efficiency, and overall performance at your center this year – and making it the best year your staff has ever seen!